Have you ever dreamed of traveling the globe? Want to visit South America, Asia, Europe, Australia, and Africa? Would you enjoy getting a warm welcome in every country of the world? Then we have some advice for you. 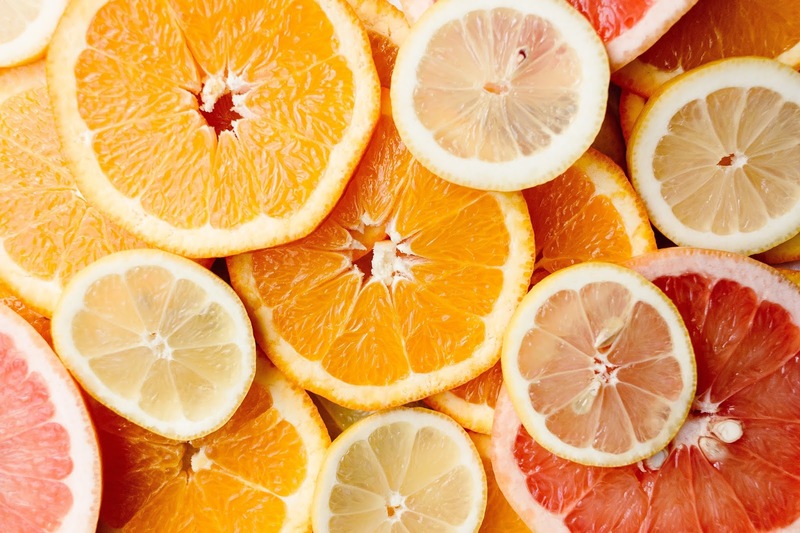 Yes, it’s true—oranges, lemons, limes, grapefruits and other citrus are shipped around all around planet Earth, and beloved absolutely everywhere. What’s more, they have a long and fascinating culinary history across cuisines. While the first citrus trees are thought to have originated in China, bitter oranges spread to Italy and Spain way back in the 10th century. 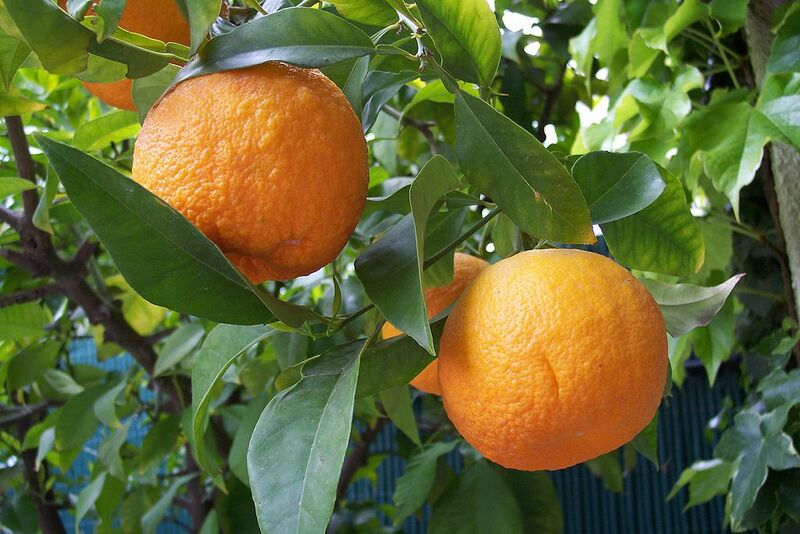 The sweet orange became popular in the 16th century, around the time when citrus was introduced to the new world. Soon citrus was being planted on trade routes around the globe. This ensured a worldwide spread of these delicious fruits. Cultures around the world have been making citrus a part of their native cuisine for centuries! While you’ve probably heard of some such dishes, like duck with orange sauce, today we wanted to dig a little deeper. Read on for some authentic citrus recipes from around the world that we think you may not know about. Though located in South America, the country of Guyana is often considered culturally Caribbean. Pepperpot, a traditional Guyanese meat stew in spiced gravy, typically contains a significant amount of orange peel. It is interesting to me that pepperpot is traditionally eaten on Christmas, since citrus-flavored food is associated with that holiday in other countries as well. Here is a recipe for this intriguing dish. 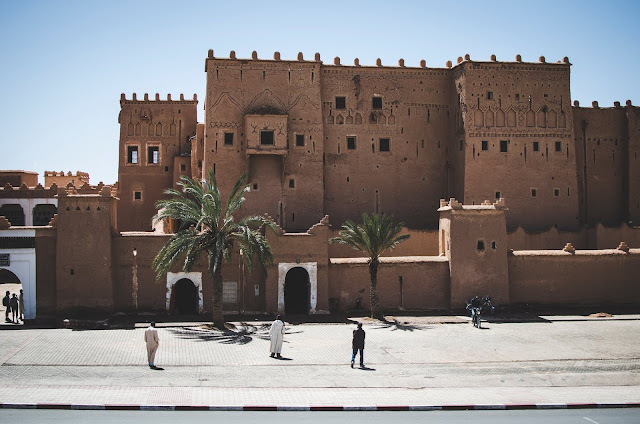 The North African country of Morocco grows a lot of oranges (said to be some of the best in the region) and its cuisine features many orange dishes. The combination of oranges, cinnamon, and orange blossom water is a traditional dessert in this cuisine. By the way, in Morocco, orange flower water is a symbol of good luck. This simple thick orange pudding seems like an obvious idea, but I’ve never been served anything like it in this country—have you? It is traditional in the small Central American nation of Costa Rica. Costa Rica is a grower of oranges, and the county also enjoys orange flavors in pound cakes and raisin cakes. This stunningly beautiful and fragrant rice dish from the Middle Eastern country of Iran is known as “jeweled” rice. It’s often served at weddings, parties, and other festive events. Jahaver Polow features many nuts and fruits, including an abundance of candied orange peel (a central flavor in the dish). It would make a gorgeous addition to a holiday table. When you think of citrus flavors and Chinese food, you may think of orange chicken, a sweet, deep-fried dish that can be a bit of a guilty pleasure for many of us. However, that dish is pretty Americanized and is not likely be found in mainland China. But this is not to say that citrus isn’t used in authentic Chinese cooking. One common recipe is Tangerine Beef, which used dried tangerine peel and features some of the same sweet and aromatic flavors as orange chicken. Here’s a recipe that American kitchens should be able to prepare. If there’s one thing we know at Florida Fruit Shippers, it’s that you will never run out of new, fascinating, and delicious recipes to prepare with Florida citrus. Centuries of inventive cooks who came before us have ensured it! Of course, you can also just enjoy our fresh, juicy citrus straight out of the box. It’s honey tangerine season right now, and the fruit couldn’t be sweeter. Why not order a box today? Or, for a limited time, enjoy free shipping on our Spring Trio--Temple oranges, honey tangerines, and sweet ruby-red Grapefruit. I have two children in school. If you’re a parent, you know one thing that means: they’re constantly coming home with colds and other viruses. While I love how my kids have enriched my world, this is not my favorite thing that they have “brought” to my life! Like most of us, I sometimes turn to home remedies to try to soothe my cold symptoms and feel a bit better. And of course, I like to incorporate fresh, delicious Florida citrus when I do. But does the vitamin C in citrus actually help prevent, cure, or shorten the common cold? Well, this is a controversial question. 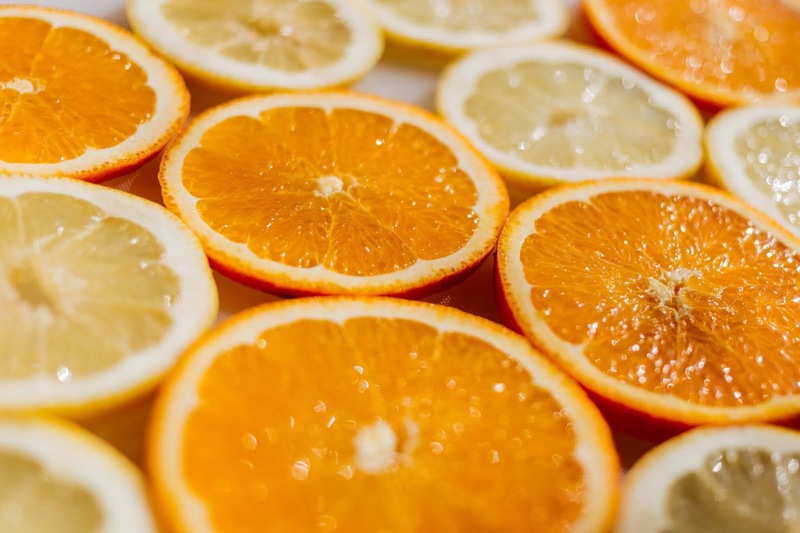 Research has found that high doses of vitamin C may prevent colds in people with very strenuous and active lifestyles (marathoners, for instance). It can also be helpful for people at higher risk of vitamin C deficiency. For instance, older adults and smokers fall into this category. However, for more “average” people, it seems that increasing vitamin C probably doesn’t actually prevent colds. But there is some good news. Increasing our vitamin C intake over the long term (like by eating delicious fresh oranges daily!) may slightly shorten the duration of the colds we get. How much? Well...by about a day. While this isn’t a huge difference, I personally will take it! 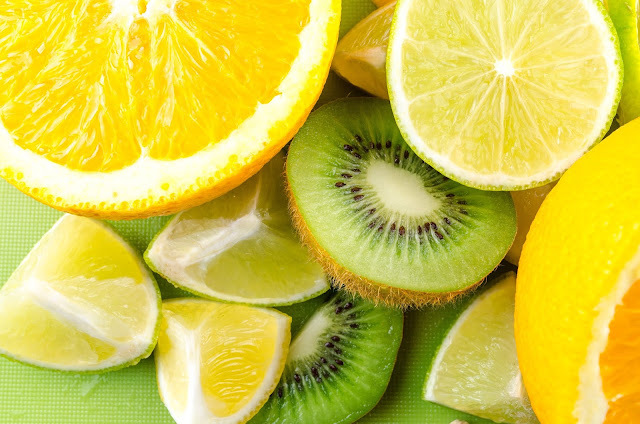 Sounds like a good reason to increase citrus intake during winter! Well, but what if you’re in the middle of a miserable cold and want some relief? 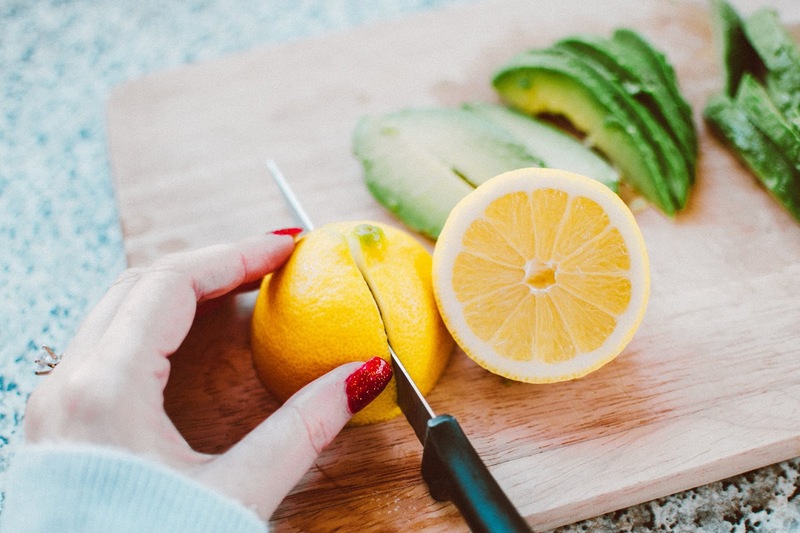 Should you still try some citrus-based home remedies? I think so! Most of them also involve heat (which helps soothe your throat and open things up), honey (which has antibiotic and antiviral properties), ginger (also antiviral) or other helpful ingredients. Sounds good, right? Plus, they’re delicious and have stood the test of time. I don’t know about you, but I’m going to go with it. 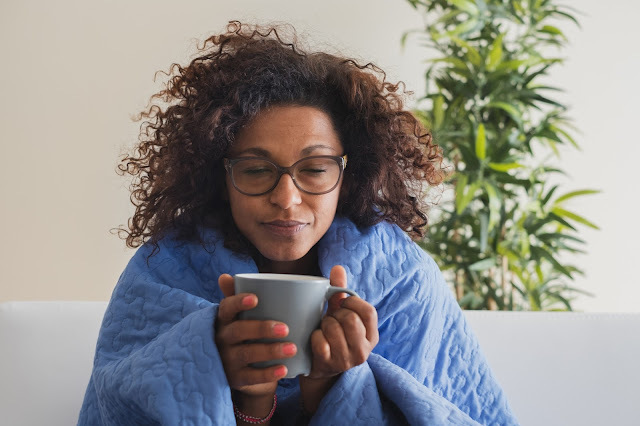 So, here are a few citrus-based cold and flu remedies and treats to try the next time you’re under the weather. They may just help—and they certainly won’t hurt. This is a simple process of slicing oranges, tangerines, clementines or other citrus, heating honey, and mixing the two together with spices or herbs. 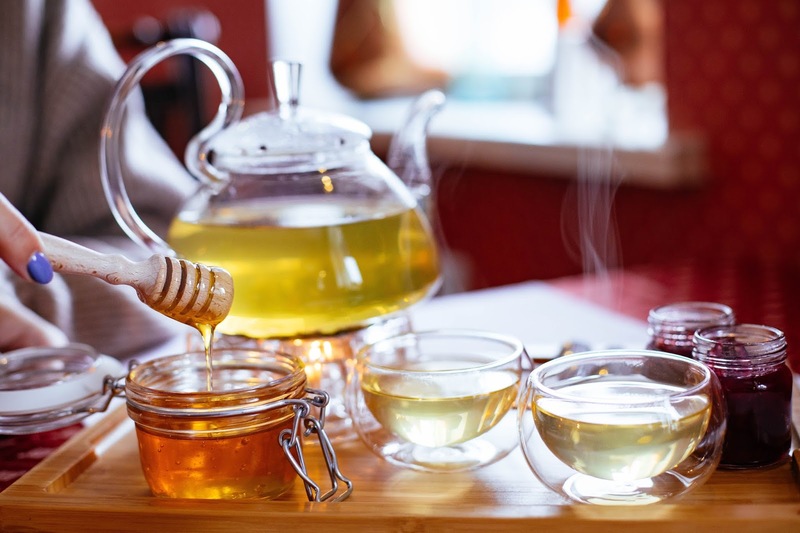 The mixture is then kept refrigerated and can be used in teas or as a natural cough syrup. Nothing fancy here—just a fresh vitamin C blast. 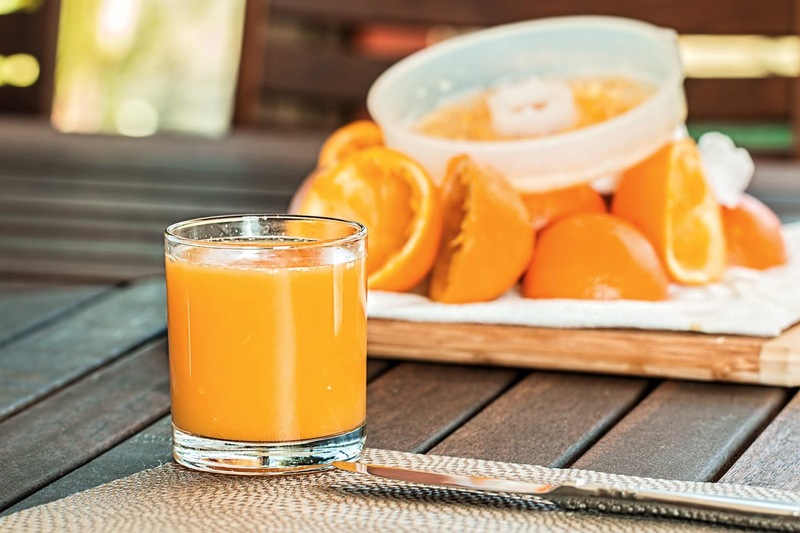 This drink is made from pureed grapefruit, oranges, and kiwis, another fruit that is very high in C. This one is even better for you than juice, because the whole fruit is included and all the fiber is still in the drink. Have you heard about the healing powers of turmeric? I was familiar with this spice through its use in Indian cooking, but it has recently gained popularity in healing circles due to its anti-inflammatory and antioxidant qualities. I’ve tried turmeric when suffering from a cold and felt it helped. 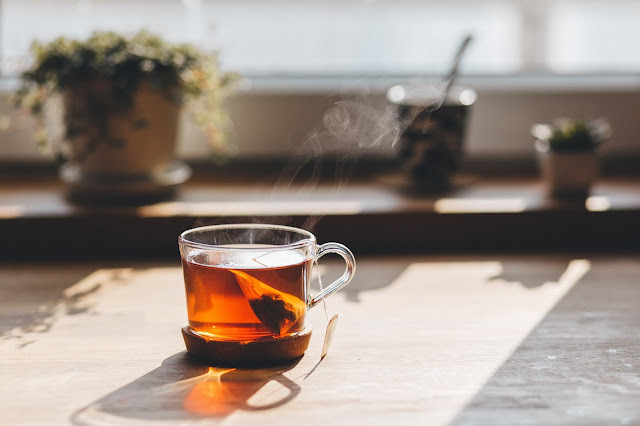 I definitely enjoyed it most mixed with orange juice, ginger, and honey, as in this hot tea! Are you the type of person who believes that when it comes to curing a cold, the remedy needs to feel a bit…extreme? Check out this Fire Cider, made from horseradish, garlic, ginger, hot peppers, herbs, vinegar, and yes, fresh oranges and lemons. If it doesn’t cure you, it might at least keep other people from accidentally kissing you and getting sick! Is someone you love feeling a bit under the weather? (Maybe that person is you!) Why not send them a beautiful fresh box, crate, or basket of fresh Florida oranges, tangerines, or grapefruit? Picked at the peak of ripeness and bursting with sunshiny vitamin C, this gift is bound to perk your sniffly friend or loved one up. Be a hero. Here in the beautiful sunshine state, we’re known for a few different things. Of course, vacations and are definitely one. Bright, abundant, warm sunshine is another. Two more? Sweet, juicy, bright citrus, and fresh, delectable seafood. The great news is that all of these things go together exceptionally well! But if you can’t make it down here for the vacation and sunshine, you can still enjoy the flavors of our citrus and seafood—no matter where you live and or what the temperature is outside. Chefs and home cooks have been combining the bright acidity of citrus with seafood dishes for thousands of years. The time-honored combination is actually based on some hard science, as well as tradition. 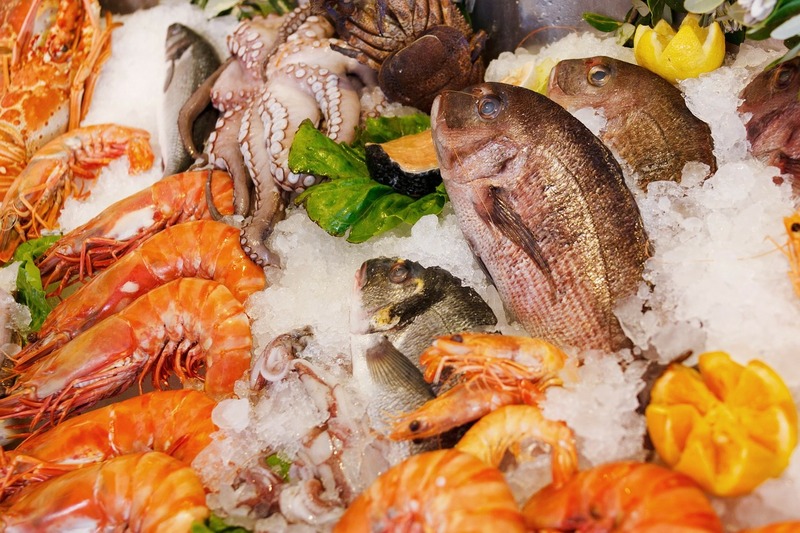 Seafood contains amines, which are neutralized by the acidity of citrus. This can make the characteristic “fishy” taste a bit milder. 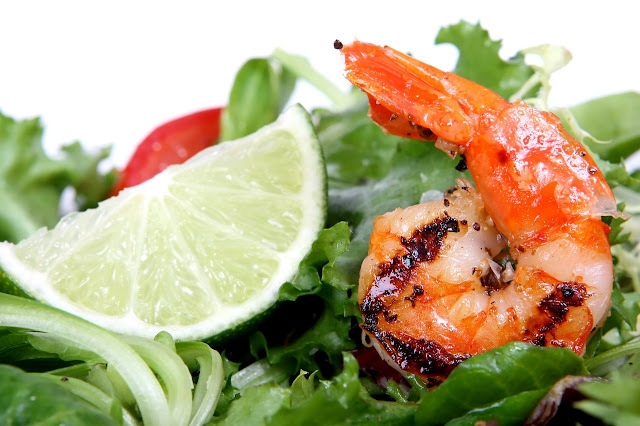 However, the acidity of citrus also brings up the delicate flavor of seafood without overpowering it. Florida’s talented professional and home chefs have come up with some absolutely spectacular dishes that showcase this classic combo. A great time to sample these dishes? Winter! If you didn’t already know it, citrus is at its peak in the heart of Northern winter. We don’t mean to gloat, we promise—but it’s just another thing that’s great about Florida. There’s also plenty of Florida seafood to be had in winter. White shrimp, Key West Pink Shrimp, spiny lobster, and stone crabs are all in peak season during the fall and winter months, along with plenty of Florida finfish like amberjack, mullet, flounder, pompano, and grouper. 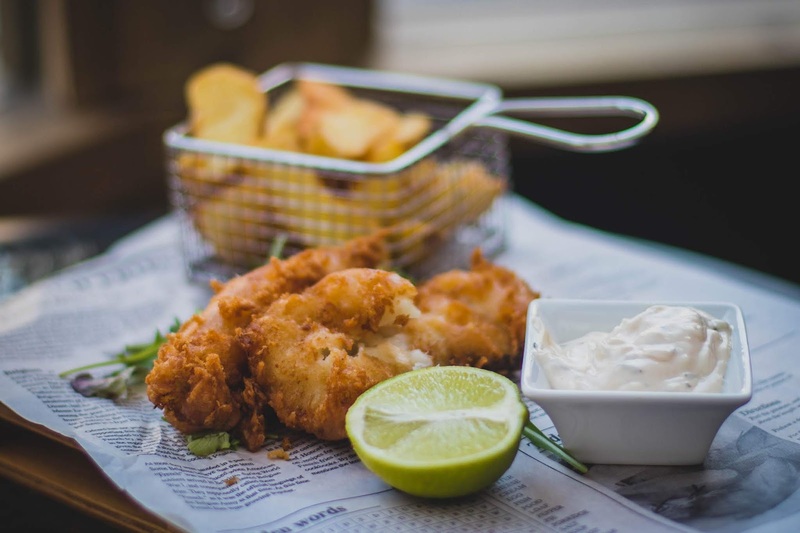 Of course, you’re not required to limit yourself to Florida-caught seafood when enjoying the combination of citrus and seafood (though we do happen to think that this is the perfect pair). Keeping your dish local like this also supports our economy, helping the American seafood and agriculture industries thrive. Check out a few of these delicious dishes today! This is a simple seared grouper filet served on a bed of fresh Florida oranges, grapefruit, fennel, and jicama. We can guarantee that it will taste fresh, luscious, and refreshing. Never tried spiny lobster (also called rock lobster)? Like Maine lobster, the meat is sweet and succulent and should be purchased either live or frozen. Unlike Maine lobster, you don’t eat the claws—just the tail. Try this Florida delicacy today. Citrus and shrimp are a really classic combination, and for good reason. This Asian-themed orange garlic shrimp stir-fry is perfect for a fresh and healthy dinner. Stone crabs are another special Florida treat that you really need to try at least once in your life. The meat, which comes only from the claws, is extremely delicate and sweet. This very simple recipe simply consists of steamed claw meat dipped in an orange-chile sauce. Can’t get to Florida this winter? We’re sorry to hear it. But you can still get some of the feel of our beautiful winters by ordering a box or basket of our bright, cheerful, fresh, and healthy citrus. Try our oranges, grapefruit, or honeybells today. There are certain things in life that are worth waiting for. Florida Honeybells, with their short but very delicious season, are definitely one of those things. What’s a pommelo, you ask? The pommelo was basically the original grapefruit. The grapefruit variety used to create the Honeybell was the White Duncan. This fruit has gone out of favor for being seedy, but was well known for its incredible favor. When the Duncan was crossed with a tangerine by a savvy citrus grower, the result was the Honeybell—a distinctive, bright orange, super sweet and juicy fruit with an unusual “bell” at one end. This fruit hit the market in the 1930s, and it’s been popular, yet rather hard to come by, ever since. That’s the background of this delicious fruit—a favorite of gourmets, Florida natives, citrus growers, and people who just love good fruit for many years. Not yet convinced that you ought to try these sweet juicy, delectable treats? We’ve got 8 great ones below. If you haven’t ever seen a Honeybell in person, you may not realize how gorgeous they are! These are some of our most giftable fruit--not just because of their delicious taste, but due to their appearance. Their color isn’t just orange…it’s a deep, almost fiery red-orange. And since we hand clip each one from the tree to keep the “bell” intact, they’ve been treated with a lot of gentleness. If the classic “oranges and grapefruit” basket isn’t exciting you as much anymore, then Honeybells are the way to go. With their unusual appearance and out of this world flavor, there’s really not much typical about them. Are you a Floridian who wants to send a taste of the sunshine state to some out-of-staters? Want to rub it in about how beautiful it is here in January, while your friends and relatives are digging their cars out of the snow and cursing? (Just kidding.) Honeybells are the perfect taste of the real Florida. Most of us probably haven’t tried Honeybell juice, in part because it might seem like a sin to juice these fruits when they’re so delicious to eat out of hand. But if you can stand to give up a few to the juicer, you’ll find that the flavor of Honeybell juice is absolutely outstanding. Just like all the citrus we sell, Florida Honeybells are incredibly healthy for you, as well as being delicious. Citrus is high in vitamin C, fiber, folic acid, and potassium, supporting the immune system and heart and digestive health. People who take medications known to interact with grapefruit will be happy to hear that even though Honeybells are a tangerine-grapefruit cross, they do not contain the substance that causes medication interactions. Honeybells are a “zipper skin” variety of citrus, meaning that the skin comes right off in a jiffy, just as though it had a little zipper you could unzip. Though I don’t mind the occasional bit of work to peel citrus, I have to admit that an easy-peeling fruit is a pleasure. Ok, this is subjective. Some of us are “grapefruit people” and can’t get enough of the sweet-tart, luscious Ruby Red. Others prefer the classically rounded, deep flavor of a Temple. And many of us love the little-known Page orange (sadly, we’re still bringing our Page groves back to life here after Hurricane Irma). But many citrus lovers do think the Honeybell is the absolute best-tasting citrus there is. Can you deny yourself the chance to try one? We didn’t think so. But remember, the season (in January) is VERY short. Why Buy Seville Oranges? This Expert Marmalade Maker Knows! Veda Karlo, of New York City, is a long-time customer of Florida Fruit Shippers who enjoys making her own marmalade using our Seville oranges. 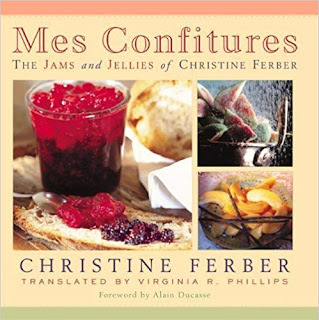 She has become so interested in the hobby that she regularly enters her marmalades in contests, including the World’s Original Marmalade Awards contest, held annually in Cumbria, England. Though marmalade can be made with other types of oranges, this famous, bittersweet orange preserve is traditionally made with Seville oranges for the best flavor. 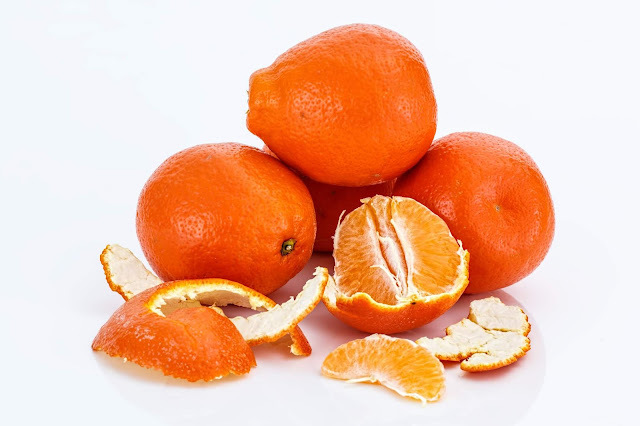 This type of orange is rarely found in stores, so online purveyors like Florida Fruit Shippers are the perfect way to buy. We had a chance to interview Veda about this fun and intriguing hobby. How much marmalade or jam do you make per year, and how many kinds do you typically make? I make about 500 pints of jam in the summer, and an equal amount of marmalade in the winter. I make over 50-60 kinds in one year, since I often experiment with new combinations while making old favorites as well. I haven't sold a jar ever, so as to maintain my amateur status! Instead, I give the jars away to all my family and friends and donate the rest to charity sales. Preserves travel really well, and mine go all over the world. Their long shelf life makes them an ideal gift. I have cases of jam and marmalade under every bed in my apartment, just waiting to be transferred to a new home. How do you like to use your marmalades? I have always loved baking, and the ideal partner for bread is jam or marmalade. Marmalade also makes an ideal topping for yogurt or cottage cheese, a great filling for cakes and cookies, and a good addition to ice creams and sauces. It also has savory uses, such as marinades or glazes. Seville orange marmalade also finds its way into some great cocktails. Can you describe the Marmalade Awards? The Marmalade Awards and Festival, now in its 13th year, happens during National Marmalade Week. Only the English would go that far in celebration of marmalade! Over 3,000 entries make their way to Cumbria from over 50 countries. The judging and awards ceremony are held at the beautiful Dalemain historic mansion in Penrith. My daughter and her husband moved to London two years ago, so we get to visit them three times a year. Over the last five years, I have been able to travel to the festival three times, where I have enjoyed meeting others who are interested in making good marmalade. The Q and A sessions are very intense, and the display of 3,000 jars is an impressive assortment, especially when you consider that this all really starts from just 3 basic ingredients: citrus, sugar and water. I am proud to say I have won gold at Dalemain for every category I have entered! Tell us more about your Seville Orange, Cranberry and Horseradish Marmalade, which won the “Most Inventive” prize at the Marmalade Awards last year. How did you come up with this recipe? Orange and cranberries are common companions for Thanksgiving, and horseradish is so very English, so I thought the three combined would make a great savory marmalade. It sounds like an odd trio, but the combination is quite distinctive and useful for cold cuts, roasts, and glazing vegetables. Why do you use Seville oranges in your marmalades? Why do you choose to order your Seville oranges online? I have lived on the upper east side of Manhattan for almost 50 years, which is not farm country. I do have access to spectacular local produce at the GrowNYC's Farmers Green market at Union Square, where I have shopped for many years and have volunteered on Wednesdays for over six years. However, we do not have citrus in NY state, except for a few trees in greenhouses on Long Island. Ordering online is the perfect answer for everyone, no matter where one is living in the US. Few supermarkets carry specialty citrus, and even if they do, the fruit has been processed and is not at optimum freshness. I tried several options, but Florida Fruit Shippers has been the most reliable and cooperative in providing the citrus for my Seville marmalades. I order about 4-5 (4-tray) boxes each winter, and the company has been great about staggering the shipments, as I can only deal with one box at a time. Having the fruit delivered to my door is fantastic. 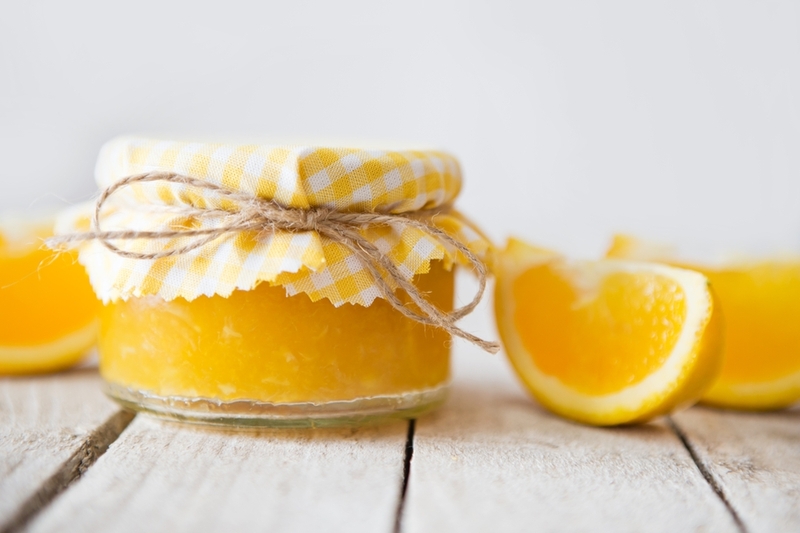 What advice do you have for someone making orange marmalade for the first time? Seville orange marmalade is the ultimate marmalade, and requires some dedication to make a decent batch. 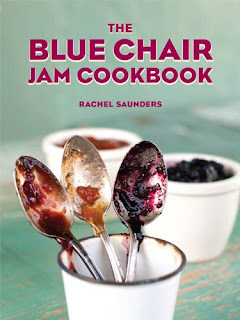 For newbies, I would recommend reading Christine Ferber’s books and Rachel Saunder’s Blue Chair books. Making marmalade is easy, but requires some time. The process is very flexible, and is best spread over several days so the project is not too daunting. I watch BBC series while I sliver the citrus. Then I put it aside to soak overnight to release the pectin and reduce bitterness, and cook it whenever it is convenient on the third day. Do you have a marmalade recipe you can share with us? Here is a simplified recipe for Seville Orange cranberry horseradish marmalade. It’s great for Thanksgiving turkey or Christmas ham! Wash and juice Seville oranges. Cover skins with water overnight to remove some of the bitterness. Next day, drain off water and add more fresh water to cover skins and simmer for 2 1/2 hours covered, until very tender. Cool. Scrape off membranes and some of the white pith, and discard along with water. 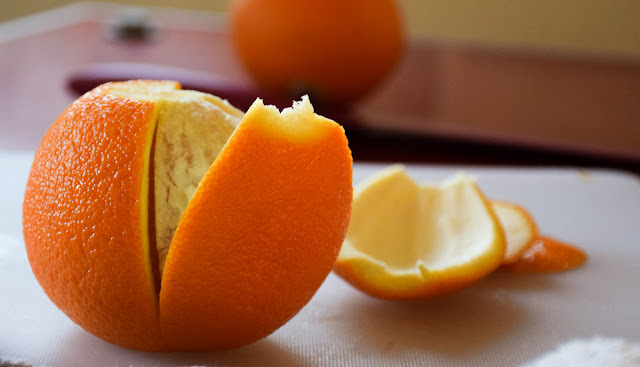 Cut cooked orange peels into fine strips or chop coarsely in food processor. In large pot, combine oranges, reserved orange juice, cranberries, 1/2 c. water and sugar. Bring to a full boil and stir occasionally until cranberries pop, about 4-5 min. Grate peeled horseradish directly into lemon juice to preserve sharpness. Add to pot and boil another 2-3 min. until mixture reaches 220 F on a candy thermometer. Turn off heat, and skim off any floating scum. Pour into sterilized jars and cover with lids and rings. Process in boiling water bath for 5 minutes for long term storage, or just refrigerate for 2-3 weeks. Cool undisturbed for a day. 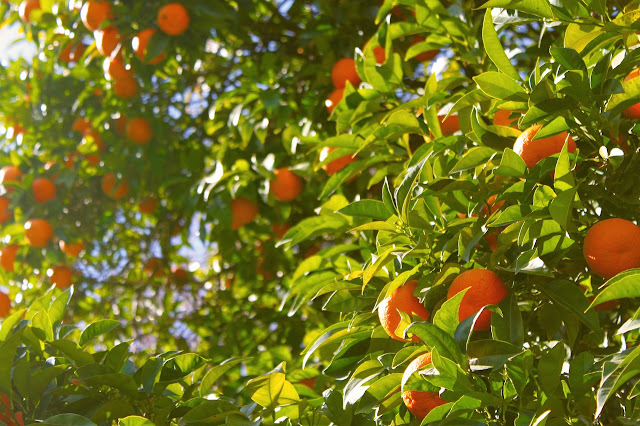 For more about Seville oranges, take a look at our blog on this fruit: The Magic of The Sour Seville. And if you’d like to try your own hand at marmalade (or one of the many other recipes that call for Sevilles), you can order Seville oranges from Florida Fruit Shippers. 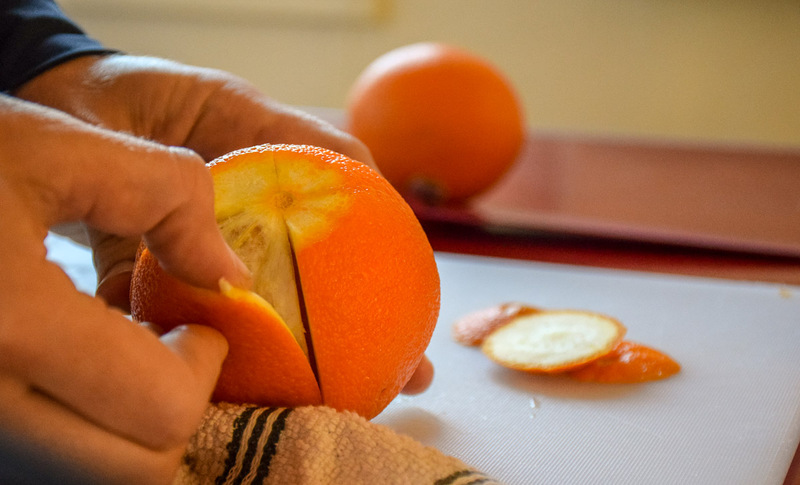 Everyone loves eating fresh oranges, tangerines, tangelos, and grapefruit, but did you know that some of the most concentrated flavor in citrus is actually in the peel? Citrus peel is also extremely nutritious, containing many vital phytonutrients. 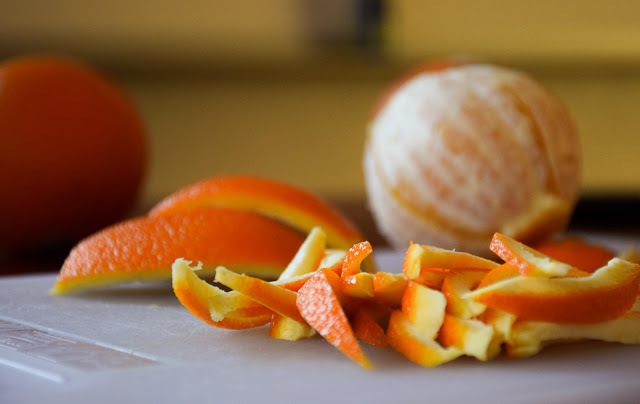 Though some recipes call for citrus zest or peel, we most often just throw it away. Since I eat so many citrus fruit in season (sometimes we may go through 8 in a day! ), I have spent some time thinking about all those discarded peels. 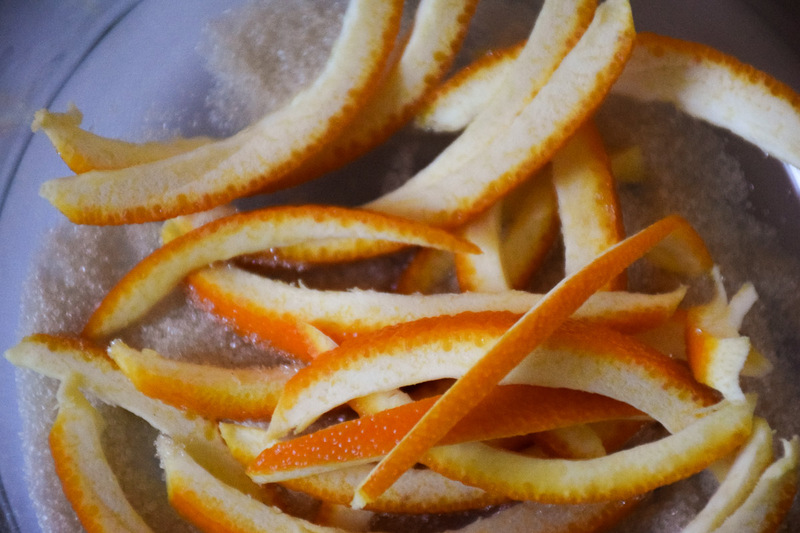 One of my favorite uses, especially as the holiday roll around, is making candied orange peel. It’s super delicious...like fresh orange gummy bears, but better! Note that there’s no need to peel citrus just for this use. When we’re eating a lot of citrus and I know I’ll have time to make these, I just remove peels the way this recipe indicates. You can store them in the fridge in an airtight container for a few days until you’re ready to proceed. For this recipe, you want citrus with thicker, easy-peeling skin. Navels are a great choice. Tangelos or tangerines could also work. Avoid thin-skinned, hard-to-peel varieties. You can also use grapefruit for this recipe, though you’ll want to go through the boil/discard water step a couple more times to cut down on bitterness. A note on quantities: this recipe can easily be scaled up or down. The syrup proportions are simply 1:1 sugar to water. When coating with finished peels with sugar, just use as much as seems necessary. First, cut the top and bottom off 4 medium-sized fruit. There’s no need to cut a lot off here—you just don’t want the very ends. Next, score the fruit in quarters lengthwise. If the orange were a globe, this would be along its “longitudes,” not the equator. Go pretty deep with a sharp knife, till you feel the blade hitting up against the orange flesh. At this point, you should be able to gently remove the peel in 4 neat sections. Don’t worry about the white pith—its pectin lends chewy texture to the finished product. Now cut the quartered peel into strips. I like them about ¼ thick, but some prefer thinner, more like 1/8”. Put your sliced peel into a pot and cover generously with cold water. Bring to a rolling boil and boil for 5 minutes. Drain, cover with fresh cold water, boil 5 minutes, and drain. Repeat the process one more time and drain. Combine two cups of granulated white sugar with two cups of water in the same pot and bring to a rolling boil. Add the peel. Bring to a boil, then lower to a simmer. (pic 6) Simmer gently for approximately 45-60 minutes or until peel is translucent. The pith should no longer appear white, but instead saturated with syrup. However, be careful not to overcook it such that the peel begins to break apart. Enjoy eating, gifting, or cooking and baking with your delicious candied peel! To coat your candied peel in chocolate and make a true orangette, wait till your peel has dried overnight. Then melt some chocolate chips over a double boiler or in the microwave. For a traditional appearance, dip in only one end. Let dry on a wire cooling rack. Store separately from peel that has not been chocolate-dipped. Orangettes do not keep as long and should be eaten within a week or two. 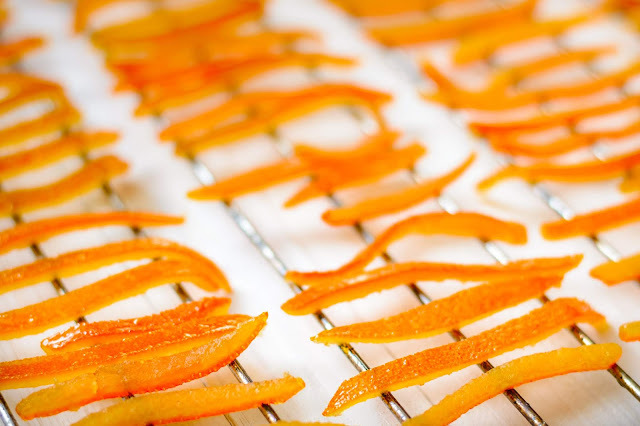 Many wonderful recipes using candied orange peel are available on the Florida Fruit Shippers Pinterest Page, https://www.pinterest.com/flfruitshippers/boards/ specifically on our Citrus Desserts https://www.pinterest.com/flfruitshippers/citrus-desserts/ and Rise-n-Shine with Citrus https://www.pinterest.com/flfruitshippers/rise-n-shine-with-citrus/ pages. 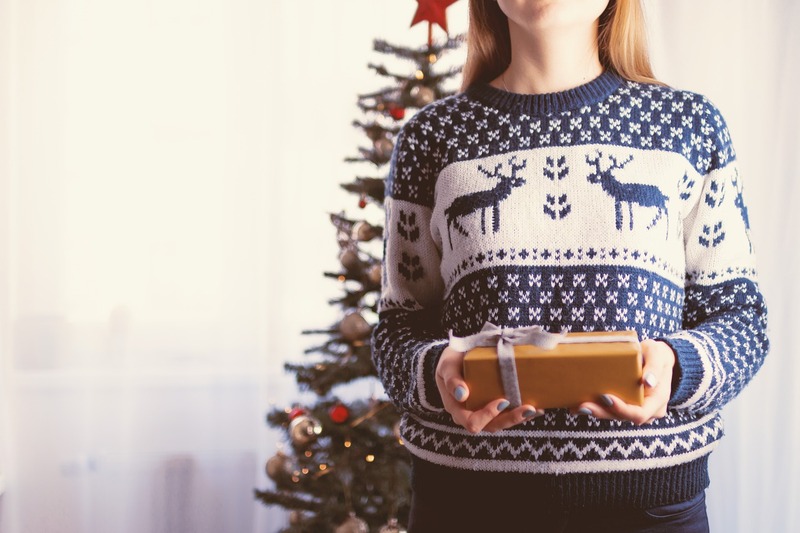 It’s that time of year again—the time when you need to find and buy gifts for… well, it sometimes seems like just about everyone. When it comes to some recipients, this task is easy. I love nothing more than picking out fun new toys for young children. And everyone knows the satisfaction of finding the perfect, unexpected item for someone whose tastes you know well. For others, a simple gift card to a favorite store is just right. But what about that favorite teacher whose tastes you don’t know? Those new business clients who need a gesture of appreciation? How about the aging relative who literally has everything… and then some? Then there’s the acquaintance who did you that big favor. You need something for her, but you’ve never been to her house. What would be right? Unfortunately, there are so many ways to go wrong when you need to buy a gift for someone you don’t know well. Books and music? Too personal. Gift cards? Not personal enough! Accessories, jewelry, and the like? It’s just impossible to predict other people’s tastes and preferences. Bath items and lotions? Many people avoid these items due to disliking strong scents. Is Food a Good Option? So… no entertainment items, no personal care, no clothes, no knick-knacks. What’s left? We often fall back on tradition and go with the old favorite: food. In lots of ways, this is a great choice. After all, who doesn’t like food? Cookies, chocolate, candy—yum. 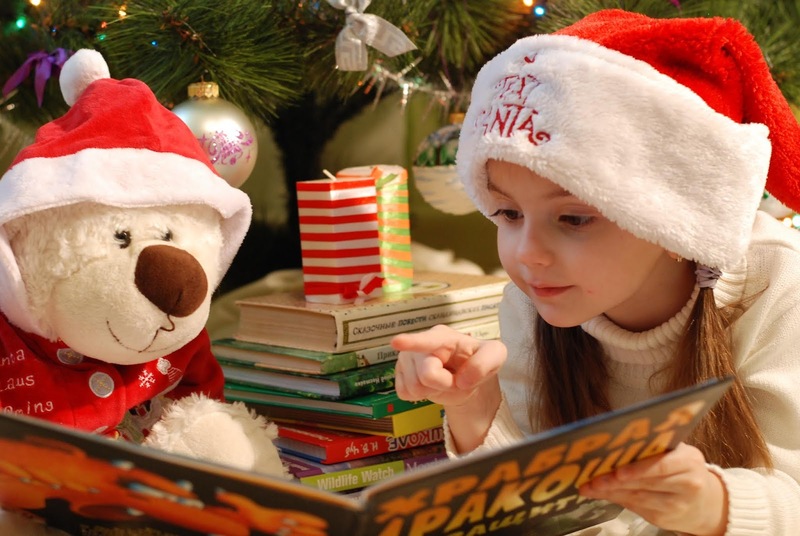 Plus, there’s something about the tradition of celebrating the holidays this way that feels warm and genuine. But…let’s face it. This can be a minefield! 45 million Americans diet every year. Twelve to thirteen percent report food allergies. And about 60% are on a restricted diet of some kind: low-carb, vegan, gluten-free, paleo...and the list goes on. About to give up? Here’s where we come in. 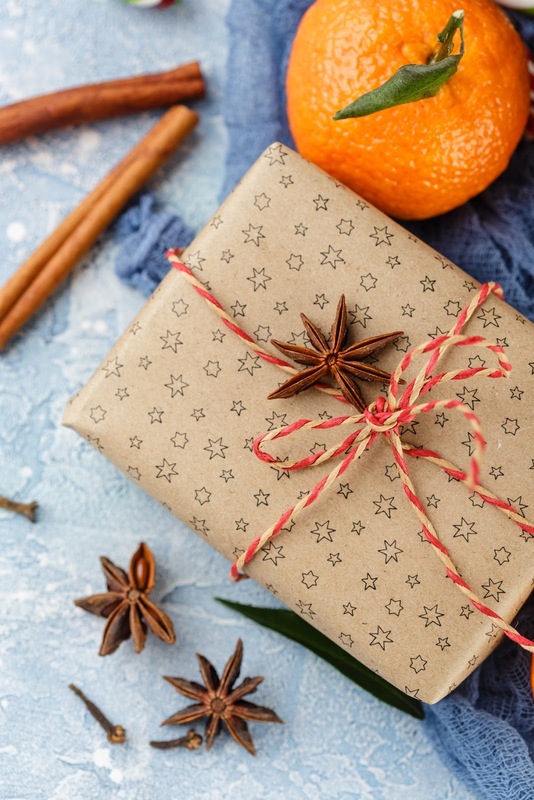 While these food restrictions do rule out most traditional holiday food gifts, here’s one virtually every single person on your list can have: sweet, juicy, healthful Florida citrus, like our oranges, tangerines, and grapefruit. Even the most restrictive diet is likely to allow fresh citrus! Allergies to it are very rare. Plus, enjoying a sweet orange or tangerine is not going to cause any worries about not eating well. Instead, your gift recipient can feel good about enjoying a gift that’s completely guilt-free while also being truly delicious. At a time when heavy, calorie-laden treats are all around us, a holiday gift of Florida citrus is a truly brilliant choice. Our delicious, juicy oranges and grapefruit can be enjoyed by all. They won’t blow anyone’s diet or make anyone feel sorry that they ate them. They certainly won’t be hidden away in a closet, and they won’t end up regifted or need to be donated to the thrift store. And afterwards? No one will have to “declutter” anything but a few peels.